Chinese hotels aren’t too fussy when it comes to matching the number of beds to the number of people, particularly when the extra bodies are children. For families, this can save a lot of cash. Rather than needing two rooms, a family of four can get cozy in a twin room, where both beds are the same size as a regular double bed. When in north China, save the coins for the piggy bank. Don’t insult a Shanghai taxi driver by burdening him with small bills, such as 1 yuan or 5 jiao notes. He likes the jingle of coins. 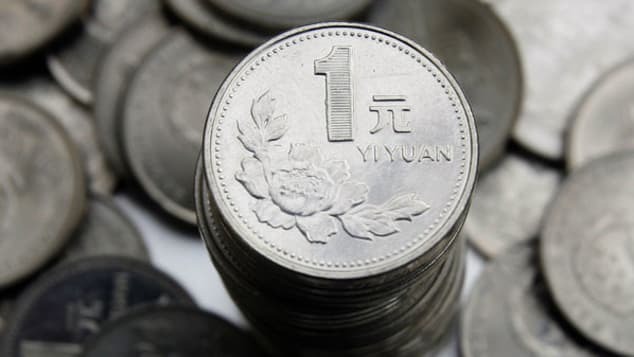 Conversely, in northern and western China, expect market vendors to reject coins outright. They only like paper money no matter how small the denomination. Pleco is the best Chinese language app for travelers. The basic dictionary app is free. It costs US$14.95 to buy the optical character recognition function (compatible with the iPhone 4 or 5 camera). Point the iPhone at a Chinese menu and get an instant translation. Have fine items made by hand and to order — a neon sign of your name, pair of riding boots, set of sheets, oak cabinet, silk quilt or cashmere coat. China is the land of possibilities. If you can dream it, someone can make it. The Shandong Juancheng Neon-Plasma Tech company make customized neon signs in one week and will ship anywhere. China Little T(r)ips is a series of guides for those who want to get off the well-worn tourist path in China, but don’t have the inside knowledge or the language skills to do so. These guides to Inner Mongolia, Gansu and soon Sichuan and Qinghai contain detailed itineraries, maps and language cards specific for each stage of the trip. 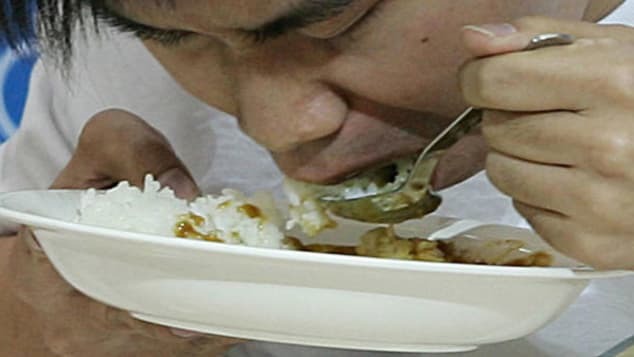 Rice is rarely served during a meal in Chinese restaurants, being seen as a cheap way to fill up at the end if needed. Anyone wanting rice with his or her meal should make it clear to the waiter by saying: mifan (rice) mashang (straight away). Toilet tissue is rarely found in public restrooms in China. Carry your own supplies. Outside of large cities and internationally branded hotels, Chinese hotel breakfasts cater exclusively to the local market. This is no issue for anyone fond of congee and pickles, but can be an unimaginable hurdle for children or picky eaters. Bring a box of their favorite cereal and a few small cartons of milk and everyone starts the day happy. Most hotels don’t mind. China is nowhere near as terrifying as many guidebooks would have you believe. Yes, the traffic is chaotic and the air could be better — much better — but China is one of the safest countries in the world for female travelers, solo travelers and families. Those traveling in rural China often wish to give a small gift to locals they meet, but are unsure of what might be considered appropriate. A portrait delivered instantly on a Polaroid camera is a much-appreciated, on-the-spot gift. Fujifilm Instax Mini 7 Polaroid camera retails for around RMB 400 (US$62) from large electronics retailers. Most authentic Shanghainese life is hidden in alleyways. Accustomed to the idea of private property, international travelers are often reluctant to stray from worn footpaths into lanes and hutongs for fear of intruding. But that’s not how the Chinese see things. All of these outdoor areas are public spaces, and lanes and alleys hold some of the most captivating scenes in China’s big cities. Chinese people like to converse very loudly and passionately at times, and it can be easy to mistake this for an argument. Listening in to a heated discussion in Shanghai between a taxi driver and a Chinese friend I thought they were about to come to blows. The array of Mandarin dialects and variations across China can make communication difficult even for native Mandarin speakers. But help is always at hand: those under 25 years old are most likely to speak both standard Mandarin and English. Students who have studied English in books for years, but have had little contact with native English speakers, may more readily understand written questions. Learn the name of your country’s most famous landmark for beaming instant recognition from taxi drivers, waiters and the man on the street. In order to get some local color on business trips that will otherwise be spent inside taxis and boardrooms, “take to the backstreets behind your hotel for an early breakfast of dumplings or noodles and watch the area wake up while you eat,” suggests Australian business traveler Matthew Tobin. Want to unblock your qi? Hit up a Traditional Chinese Medicine (TCM) clinic. Illness isn’t an essential requirement — TCM doctors believe preventing disease is just as important as treating it. Consultations are available at Longhua Hospital in Shanghai, one of the country’s top TCM Hospitals. LongHua Hospital, affiliated with Shanghai University of Traditional Chinese Medicine, 725 Wanping Nan Lu, Xuhui District, Shanghai; +86 21 6438 5700; open daily 8-11:30 a.m., 1-5 p.m. Some boutique hotels provide interesting art experiences, like the Opposite House Hotel in the Sanlitun area of Beijing. Taking small but manageable risks when traveling in China with children can reap big rewards. Three Mountain (San Shan) Island northwest of Shanghai is an ideal spot to venture away from the big city for the weekend with the family. “Our family took a weekend trip by train and boat to San Shan Dao, where we had an extraordinary China experience staying in small local guest houses and exploring the island,” says Lynette MacDonald, editor in chief of Shanghai Family magazine and frequent traveler with children. Shanghai’s Laoximen Tea Plaza houses a variety of specialty tea shops. “On the second floor, at Qing Quan Tea (shop 218), I can sit for hours testing white or red teas and listening to owner David Li talking about health benefits, differences in soil or climate conditions or quality differences,” says China-based food writer and tea lover Anna-Lena Bjarneberg. Laoximen Tea Plaza, 1121 Fuxing Dong Lu, Huangpu District, Shanghai;+86 21 5386 5555; open daily 9 a.m.-9 p.m. The best gear investments to make before coming to China are an excellent camera bag and polarizing filter, according to professional photographer and frequent China traveler Roger D’Souza. The Australian photographer also suggests using a polarizing filter to cut through China’s frequent smog. “If there is any blue in the sky this will make it appear more vibrant,” he says. Be the first to comment on "20 tips on China that will make your visit easier"